The scenario: An 8-year-old boy is acting strange and sleepy. His pupils are tiny, and his breathing is labored. To save lives, the surgeon general says get the opioid antidote naloxone. Here’s what to do. The newly hired nurses and nurse assistants voiced mixed opinions. 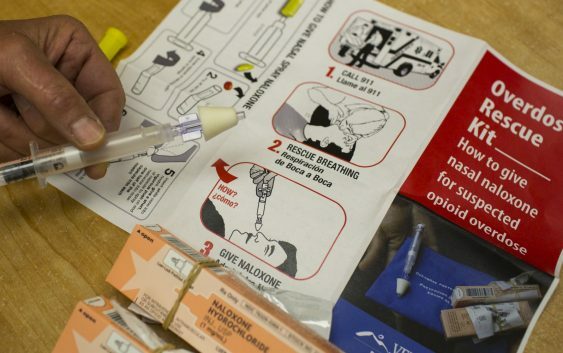 Then the supervisor overseeing the training session in a Maryland county walloped by the opioid epidemic made a suggestion: The overdose reversal drug Narcan. “What do we have to lose?” Maureen Neall asked. 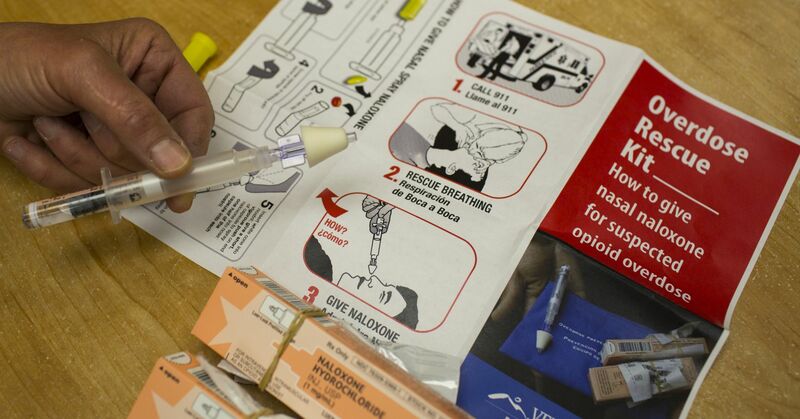 High schools, middle schools and even some elementary schools are stocking nurse’s offices with naloxone or Narcan, the brand name for the nasal spray version of the injectable drug. Some have been required by new state laws to keep the drug on hand. Others are taking advantage of a private drug company’s offer of two free kits to any high school that asks. Advocates liken the effort to having the lifesaving allergy drug EpiPen or portable defibrillators used for cardiac arrest. While many states are ponying up taxpayer funds to buy naloxone, Adapt Pharma has offered high schools two starter kits of Narcan free of charge. A Narcan kit that contains two doses. The drug expires after two years. Most states have passed standing orders that allow pharmacies to sell Narcan and other naloxone products without a prescription. Narcan retails for $130 to $150, according to the prescription drug website GoodRx. Adapt Pharma charges a discounted group purchase price of $75 per kit to entities such as emergency medical crews, government agencies, community organizations and schools not covered by the program’s giveaway program. “We firmly believe schools are the cornerstone of every community in the United States,” said Mike Kelly, president of Adapt Pharma’s U.S. operations. Critics say scarce resources should be steered toward groups that faceater risk of overdose. Corey Davis, senior attorney at the National Health Law Program,cited examples such as paroled inmates with histories of drug abuse or opioid-dependent people in abstinence-based treatment programs. Other higher-priority groups might include parents of people who are addicted, or public places such as restaurants, libraries or public restrooms. Wheeler said it’s difficult for an organization like hers to pay for enough naloxone to cover drug users on the street or in at-risk communities. Some harm-reduction organizations have resorted to bake sales to raise money. Toni Torsch, of Baltimore County, Maryland, has advocated for wider distribution of naloxone, compassionate laws and public investment in fighting the opioid crisis since her 24-year-oldson died from an overdose in 2010. On Dec. 3, 2010, Torsch thought her son was in a good place. He had recently completed a long-term rehab stint in Florida, and seemed healthy and happy. She did not know about naloxone when her son died. After she learned about the drug from a documentary, she advocated for its wider use. Now she says that many others can be spared if they get the antidote in time, or learn about the dangers of abuse before taking their first pill or injection. “I found out later who he was getting his pills from – normal families. Right there in school,” Torsch said. “People came to me who said, ‘You will never use it. It’s a waste of money. It’s going to affect our property values. '” she said.